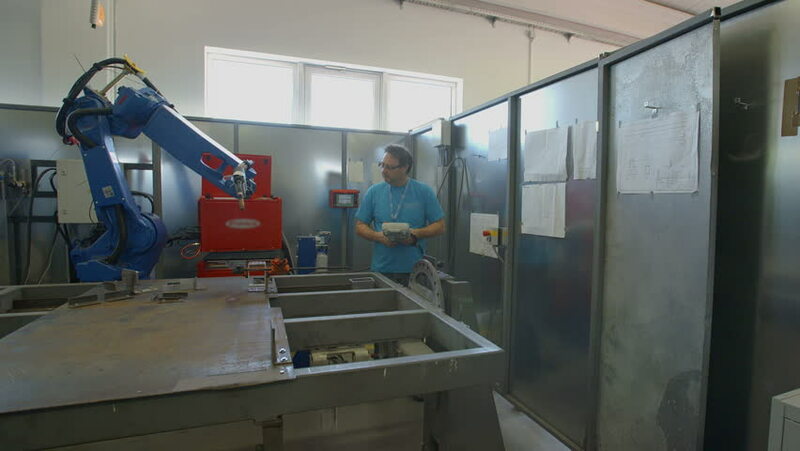 A man who is working in the factory is observing a robotic welding system. He is holding a small device in his hands. Wide-angle shot. hd00:10Keiv, Ukraine, April 2013: Laboratory of Chemical Research. Machine for creating drugs. 4k00:14Mature woman makes toast then joins her husband at the dining table for breakfast together. hd00:14Sorting escalope boxes on a conveyor belt.